Become a committee or trustee member of The Wayne Howard Trust, the Trust is a worthy and enjoyable group and we urge anyone who feels they have a skill to offer, or any spare time to give, to join and help us raise money for the ultimate objective of setting up a specialist rehabilitation centre within Hampshire. This is another opportunity to test any existing skills you may have, gain some you haven’t, and make some new friends! Want to know more, use our contact us form to receive further information and application forms. 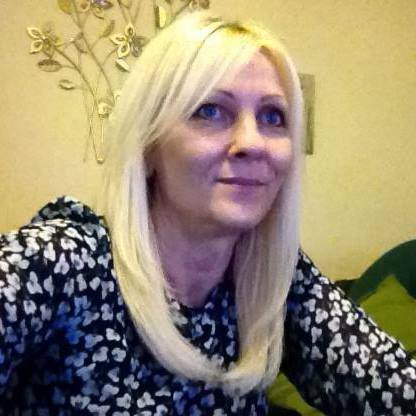 Trustee: Although originally from Aberdeen in Scotland, Isobel has lived in Southampton for approximately 25 years. She is single and has 3 grown up children, the middle one being Wayne, and 3 grand children. Isobel is a totally extrovert, articulate, and independent person with many interests such as reading and swimming, as well as teaching and dancing salsa!Isobel brings a wealth of experience to the Charity, ranging from secretarial, management, recruitment, voluntary work, through to being Director of her own promotional business. She is totally committed to the objectives of the Charity. 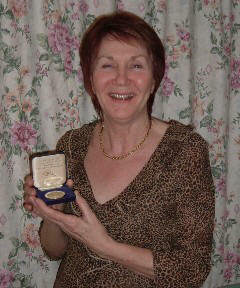 Isobel with her ‘Women of Achievement’ medal that was awarded recently to mark the International Women’s Day. Mayor of Southampton, Councillor Dennis Harryman. Trustee: The eldest of Isobel’s children and Wayne’s brother. Has plenty of ideas but like many no time to put them into action, thinks out of the box and likes to keep things simple and to the point. Has many interests such as technology, mountain bike riding, hiking, skiing, as well as cooking and collecting wine (when it isn’t being drank).Andre is the technologist for the charity and currently maintains the many aspects of the charity website as well as the original appeal fund site (http://www.waynehoward.org.uk) and provides technical assistance where needed. And like his Mum is 100% committed to the objectives and goals of the charity. Trustee: Tracy is Wayne’s partner. They have been together for 23 years and have 3 sons – Jayd aged 22, Jordan aged 21, and Connor aged 18. Jordan and Connor still live at home with Tracy and Wayne, who are now grandparents to Jayd’s 2 children Oliver aged 2, and Harper aged 2 months. Wayne requires 24/7 care and, apart from night carers, Tracy has devoted her life to looking after Wayne. Tracy is truly inspirational and Wayne would not be with us today, if not for the unstinting love and devotion she bestows on him. Tracy rides the rollercoaster of living with someone who is a victim of an acquired brain injury. Many who contact our Charity, are given confidence, encouragement, and comfort, knowing that Tracy has found herself in similar circumstance and still offers valuable support. Mike advises a wide range of businesses including subsidiaries of plc’s, family companies, professional firms, sole traders, land owners and private individuals. He has acquired an extensive knowledge of international tax and accountancy matters while successfully managing a portfolio of offshore clients. 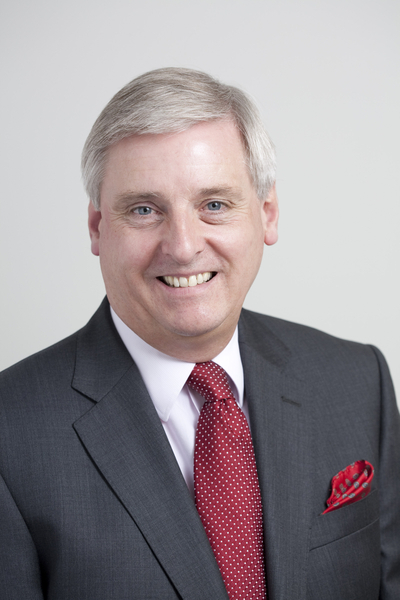 Mike’s expertise encompasses a broad range of accountancy matters, audit taxation and wealth management for owner managed businesses. 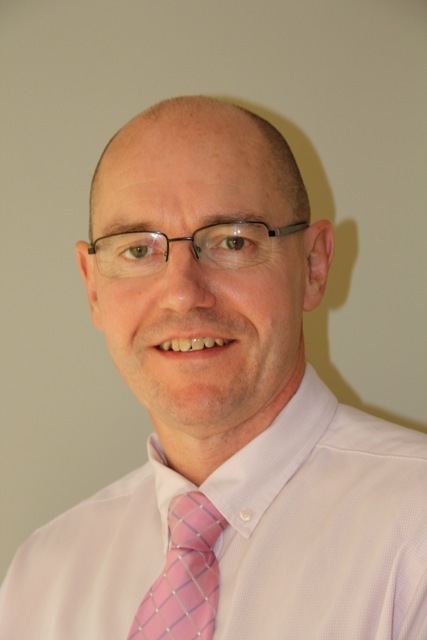 Trustee: Born and educated in Jersey, Ted joined the Royal Navy, in 1976, to train and qualify in 1980, as a Physiotherapist. Ted has a keen interest in music, golf, golf, following Formula 1, D.I.Y., and cooking but with two young children, rarely finds time for anything but the latter. Ted specializes in Neuro Physiotherapy and met Wayne in 2001. Over the years, Ted has been disappointed in and frustrated by the dwindling amount of support and treatment on offer to a great number of Acquired Brain Injured sufferers. The desire to see equal opportunities for all those sufferers prompted him to agree to be a Trustee of the charity. 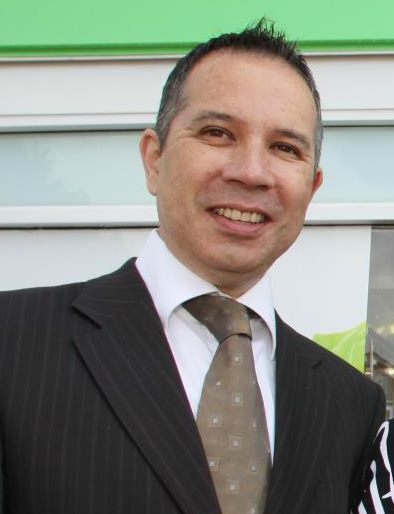 Trustee: Currently based in Southampton, I have over 20 years of experience as an Independent Financial Adviser supporting clients in London and throughout the South, with specialist knowledge in commercial finance and large case residential financing. More recently I have launched an international internet business trading vintage items and antiquities. Interests include salsa dancing, classic cars and power boat racing. I met Isobel over 10 years ago through Salsa and took part in the initial fund raising to treat Wayne at the Schneider clinic. The cause has since developed into a trust to assist other people with acquired brain injury.